Pheeeww weeeee! Of all the smelly players in the theft of WRAS by GPB deal, Georgia State University’s VP of Student Affairs, Douglass Covey, could be the stinkiest. And it’s a tough tough competition. Seems Covey made sure GSU student fees were used to pay for a brand new WRAS transmitter in April of 2013. And then tossed that brand new student-paid-for (unknowingly and undisclosed to them, of course) transmitter into the sweet GPB deal for use when GPB took over WRAS. Although it hasn’t been mentioned much in reporting about the situation at WRAS, in April 2013 the Georgia State University Student Activity Fee Committee approved a proposal to replace the WRAS transmitter. Estimated costs at the time were between $676,000 and $750,000. Meeting minutes also reference a construction permit to “install its main antenna on a downtown tower, allowing for a much improved signal in North Georgia, especially on campus, and in the Georgia Dome.” A few months earlier, discussions were well underway between GPB and GSU. An early draft agreement from January 2013 even proposes that GPB would help pay for the cost of a transmitter. The old proposal suggests that GSU and GPB would partner “to acquire bond dollars to cover all one-time costs of transitioning WRAS to digital broadcast…” Throughout the conversations between GSU and GPB, GPB was kept up to date about the timeline for WRAS’ new transmitter. According to Georgia State email correspondence, the new transmitter was delivered in late April 2014. Interestingly, around this time (late April), Georgia State’s Vice President for Student Affairs Douglass Covey resigned from the board of Public Broadcasting Atlanta (which runs competing public radio station WABE). The GSU/GPB agreement was announced publicly in May 2014. Although the new transmitter has yet to be installed, it’s been pointed out that since student fees were used to pay for something that will be largely used by GPB, it could be construed as a misuse of student funds or even fraud. Talk about a low life maneuver! And that’s not even counting Covey’s utter duplicitous skunkiness of sitting on the other public media folks’ (PBA/WABE) board throughout the icky and secretive maneuvering between GPB and GSU for expanding GPB’s public airwaves reach beyond the 24/7 grasp of the kids of GSU. Man, what a skunk. I wouldn’t trust Douglass Covey to walk my dog to the curb. Kids of WRAS and GSU, Meet Your New Overlords! Teya Ryan (President & Executive Director, GPB) to the left. 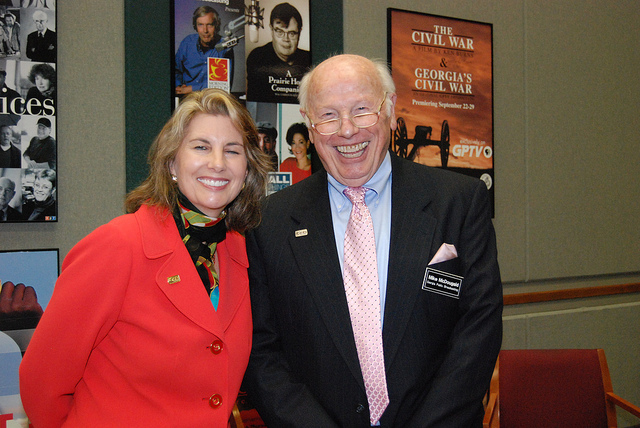 Mikey McDougald (Chariman of the Board, GPB) to the right. And they are coming at you WRAS/GSU kids with some wow kinda “significantly different” news programming products you young people can get all up in. He [McDougald] said duplication during mornings and afternoon drive-time are common and that the local news content will differ. While WABE focuses on Atlanta, GPB’s news content will be “significantly different” with a promise to increase its news operation, he wrote, noting GPB’s state-wide reach. McDougald wrote that WRAS will have three original programs including a 9 a.m. weekday news program that starts in the fall, a political roundtable that debuts today and a Saturday arts/culture show that launched last Saturday hosted by Bill Nigut. He hopes more original programs will come in the future. And they’re just getting started! Help ’em power up a laptop desktop all by themselves when you get over there to GPB headquarters to do your blessed intern thing. They need strong young folk around to work their droopy farm into shape, especially now that they’ve got all that exciting, new, and “significantly different” Bill Nigut-powered programming. But don’t ever forget who calls the programming shots and ideas at Farm GPB. Those two in the above picture! And their political media henchman, Bill Nigut, of course. GPB Claims Stealing Is Giving – To Georgia. 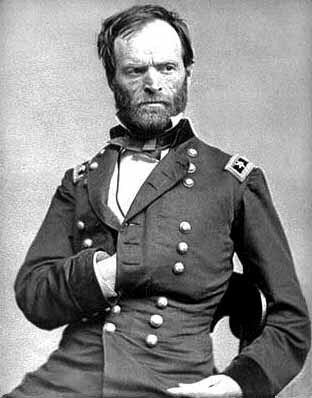 On the long-gone back of possibly the most hardass military freak known to war history, General William Tecumseh Sherman, GPB is trying hard to raise money to support its limited supply of quality programming. As they simultaneously grab WRAS’ programming from GSU college students learning a trade and give it to a self-absorbed mouth-in-a-suit, Bill Nigut. We [GPB] produce original programs which enhance the learning experience, such as a 365 segment series titled, Today In Georgia History, which covered a year’s worth of Georgia history; and more recently, 37 Weeks: Sherman on the March, which is a week-by-week chronicle of Gen. Sherman’s march through Georgia. Odd way to go about asking Atlantans for their money, eh? By evoking the name of General Sherman?! Good series, though. I watched some of it; before GPB killed WRAS, that is. But the hard, cold, cash-based fact of the matter at hand is that donors and their money are what will keep GPB alive, well, and perfectly able to dig-in like a Yankee in North Georgia for the we’re-never-ever-giving-WRAS-back-to-the-GSU-kids long haul. Mikey knows that. We know that. And yeah, we also know the odds of winning any fight to get back WRAS for the kids of GSU are as meager as Gerald O’Hara’s cotton fields circa 1865 or thereabouts. But of course stealing WRAS away from just kids is a great way to encourage even more donating to GPB. Use those WRAS 100K power watts for what they can really do: be the best fundraising bully pulpit GPB’s got in its money-raising arsenal now. Hear Bill Nigut roar. Oh god but will we. I’d rather Sherman himself stomp across my patio. Trust me, they sure know that value-added fact around the dingy halls of GPB, or they’d never have gone to all the bother of stealing WRAS in the first place. So now they’re giving nothing back. Clearly, our intention is to offer Atlantans an alternative service to WABE, and we believe our differentiated programming will bring new donors to the public media table. As a result, we do not see this partnership as you suggest, as “a waste of taxpayer’s money.” GPB has no intention of using taxpayers’ money to support this new initiative. We fully anticipate, as with WABE, that the marketplace will support our programming on GPB Atlanta. If you’re tired of Mikey, Teya Ryan, and Bill Nigut’s hideous march through WRAS, burning out the kids of GSU from the music programming they’ve commanded and championed for 40-years or thereabouts, there’s really just one thing you can do now to fight back: hit the GPB weak spot, the market place, and cease all giving to GPB. 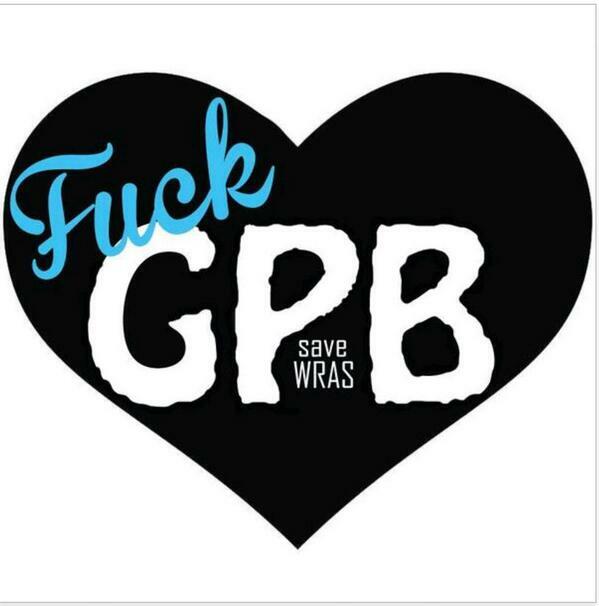 Oh, and be sure to stop by the #SaveWRAS protest of GPB’s takeover of WRAS today, Friday July 11 from 3:30-6:30pm at the GPB headquarter in Midtown Atlanta, 260 14th Street. Bring a clever sign or three, some water, and a good attitude. No bullhorns or amplification or bad manners allowed. Parking is free on the third floor of the GPB building. But don’t go into the building! Go outside to 14th street to peacefully protest in front of GPB. Show Atlanta how you really feel. Get On Board The GPB Programming Theft Train! When I mentioned that some WRAS fans are making him the bogeyman, he shrugged. “As a guy who covers politics,” Nigut said, “I know people decide to assign a motive and give you an agenda. It has nothing to do with reality or who you are.” Twice while I was on this subject, GPB spokeswoman Mandy Wilson interrupted me to say, “We’re here to talk about Bill’s radio shows.” I wasn’t expecting Nigut to saying anything except positive things about the deal and he didn’t appear to mind talking about the deal. But with a publicist in the room clearly uncomfortable with me probing that subject, I backed off. But wait! There’s more! More Bill Nigut in our futures! Of course Bill Nigut just had to have another politics show all for himself, in the way a toddler hoards all the red and green trucks, now that he’s playing with his stolen programming booty there at GPB. I had to drive around during the day for a few hours yesterday, throughout metro Atlanta. I listened to the “new” GPB-ized programming on WRAS 88.5 (no longer “Album” 88.5 of course) through most of my drive time. It’s exactly what I, and plenty of other Lois Reitzes-haters, have been hoping for on our Atlanta airwaves, which we’ve never had and often wished for as quality news programming in our cars/wherever from the 9am-3pm hours. I felt absolutely dirty the whole time I was listening, knowing what an ill-gotten act of outright thieving and programming-gain it was on the part of GPB’s Teya Ryan and her nasty media henchman, Bill Nigut. At least Nigut’s personal act of thieving windbaggery wasn’t yet ready for air. That’s an ugly lying in wait – to incite more than a mere blog post by one person. Or is it? I wonder about my Atlanta/Georgia media peers being far too excepting of the status quo, the way they always have been. I expect they’re meeting already at The Atlanta Press Club to gush and drool over Teya Ryan and Bill Nigut’s programming coup. And hand them a manufactured award for what they’ve done to the kids of GSU, of course. Now I feel dirty and disgusted. There is no amusement in this particular mostly Atlanta media matter. At all.